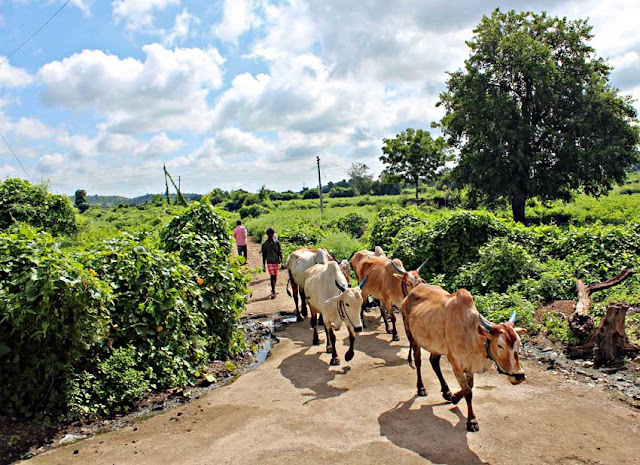 These are photographs of people herding cattle in rural India. The first few photos are shot in rural Maharashtra. In the first photo there is a rural woman in a green sari and red blouse herding two buffaloes on a country road near her village. The photo was shot through a windscreen. 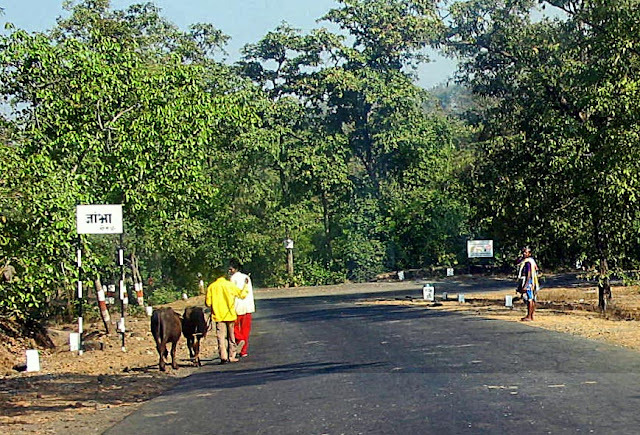 On this country road two young boys in brightly coloured clothes are walking their cows. The younger generation in India, whether rural or urban, has taken to wearing western clothes, that too in bright colors. The traditional colour for male attire in India is white. A pretty picture of the Indian country-side. Cowherds herding the cows. This beautiful photograph shows the wide country landscape, the rural Indian country-side, as a backdrop to this cattle herder. 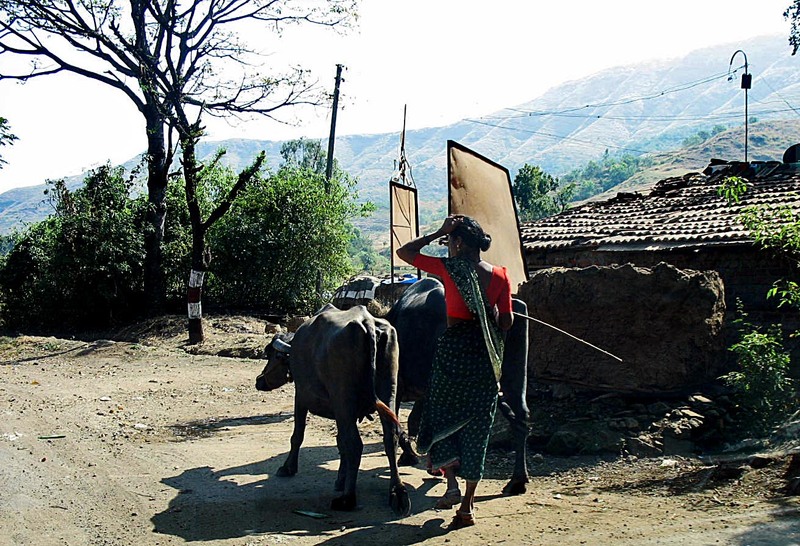 The photo was taken on the outskirts of Nasik, Maharashtra. As it was shot on a cell phone, the clarity is not as good as that of the other pictures. 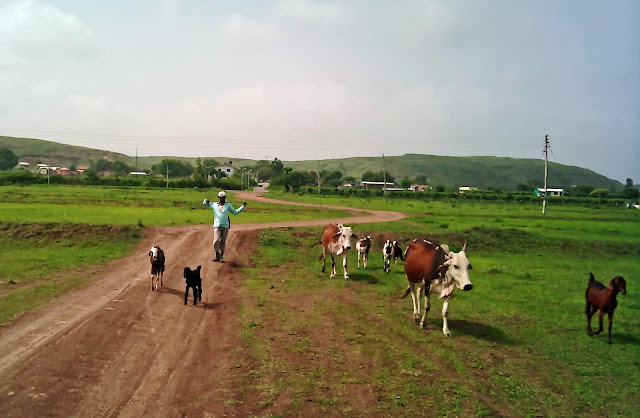 The man is herding cows as well as goats towards the river on a dirt track. A man walking with his two cow and bull near his sugarcane field. The sky is blue, the field is greed and the cattle is white. The different colours make a pretty picture. A cowherd on the outskirts of Chennai, in Tamil Nadu, a state in Southern India. 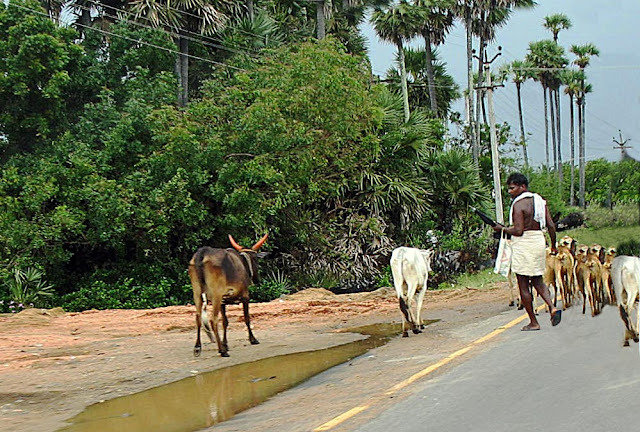 The Tamil man is wearing the traditional lungi worn by rural folk. 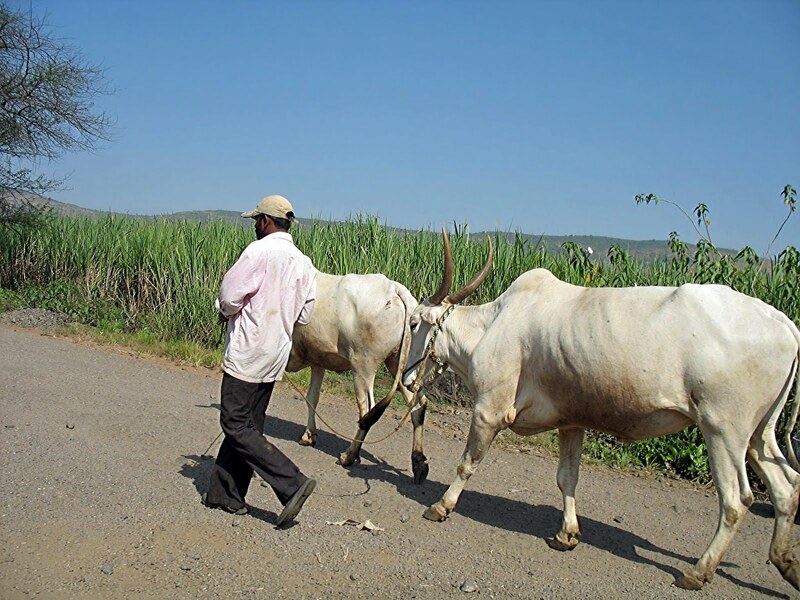 Related Pictures: Cattle on city streets or Man and Bullock cultivating field or Water Pump for irrigation in India or Bullock Carts in the country and in the city or for more scenes of Rural India including scenery click this label: Rural India.